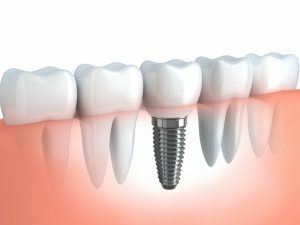 A dental implant is a titanium fixture which is placed in the bone of the jaws. Such an implant can be used to replace a single tooth or to secure a denture or partial plate. 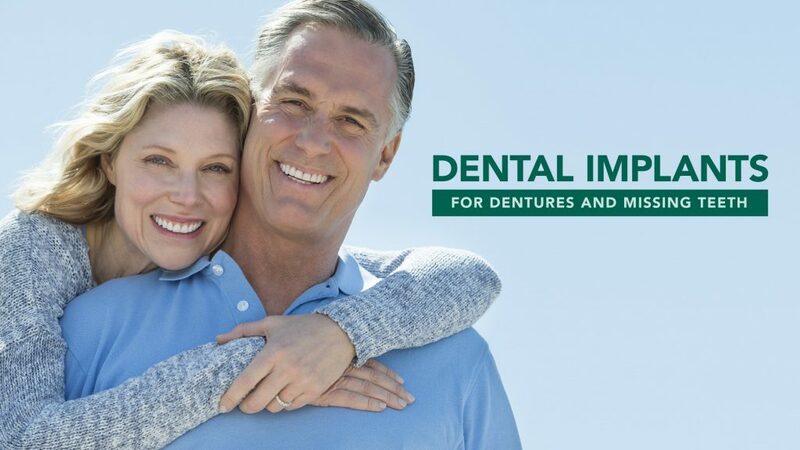 Dental implants provide security and reliability to help you chew efficiently and smile proudly. Because titanium is compatible with our bodies, our bone is able to grow into the implant fusing together for optimal strength. We have both mini-implant options and conventional implant options based on your needs. In this scenario, the dental implant replaces the root of a single tooth. Once the implant is fully stabilized in the bone, a connector and a crown (the tooth portion) are connected to complete the tooth replacement. This is brushed and flossed like your other teeth. Dental implants can also be placed under a denture. 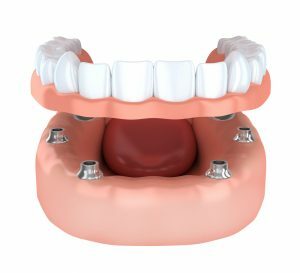 In this scenario the denture can be either screwed into the implants or snapped-on to the implants with a button attachment. Both options have been proven to increase confidence, chewing force, and overall quality of life in patients wearing complete dentures.